A deficiency of iron in our bodies can result in a number of health complications including but not limited to anemia. To function optimally, our bodies requires iron, but it can only produce so much. Consuming food supplements that are rich is iron to reach the body’s required iron quota can also result in unwanted side effects because of their synthetic nature. However consuming mango juice regularly delivers an outstanding and very much needed amount iron to keep you healthy and prevent anemia. Mango juice contains beta-carotene and various antioxidants which according to different studies, has continued to demonstrate protective abilities from prostate cancer as well as reducing the risk of colon cancer. The magnerferin in mangoes acts as an immunomodulatory and goes a long way on helping to strengthen the immune system for fighting cancer. It is important to note that this is not the only purpose that the beta-carotene serves. Beta- carotene is also used by the body in the production of Vitamin A which promotes other bodily functions. Consuming mango juice avails the body with the relevant probiotic dietary fiber and water content which aid digestion and prevent the occurrence of constipation and other digestive issues. Regular consumption of mango juice ensures your gut is healthy and functioning optimally. 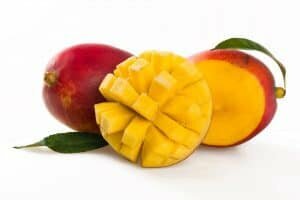 The mango juice fiber as well as malic and tartaric acid which eliminate acidity and ensure the alkalinity of the digestive tract is maintained. 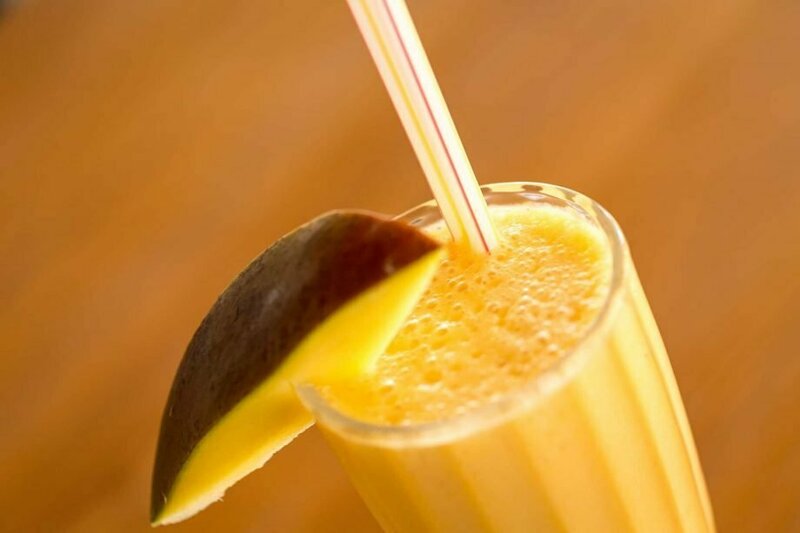 Mango juice is thought to ward off macular degeneration a disease that affects an individual’s central vision. Containing a considerable amount of Vitamin A and carotenoids which promote eye health and prevent the development of cataracts, a cup of mango juice is said to contain 25% of the Vitamin A content required by the body daily. The fiber and vitamin C which acts as an antioxidant in mango juice plays a vital role in the oxidation of cholesterol particularly the LDL type of cholesterol otherwise known as the bad cholesterol. Potassium plays a vital role in the body as it promotes heart and muscle function as well as maintaining fluid balance within the body. Research shows that the presence of potassium also lowers the risk of stroke and increased blood pressure particularly for people suffering from hypertension. Though not a popular source of potassium as bananas, a serving of unprocessed mango juice supplies the body with a substantial amount of potassium. Mango juice regardless of whether it is commercially manufactured or organic is at the top of the juice rank alongside apple, orange and strawberry juice. But most of us will purchase it for its mouth-watering taste rather than its nutritional value. There is no doubt that the organic unprocessed mango juice is better than the commercial store-bought juice. Fun fact, Sanskrit poets believed that chewing on mangoes gave the voice sweetness. Even though we can’t speak to the truth of this belief, we are confident in the health value derived from juicing mangoes as shown above. If you haven’t already, start juicing mangoes today. You will certainly not regret it.